Signio is an online platform providing electronic workflow and signature solutions that securely automate the Vehicle and Asset Finance (VAF) and Insurance process. Signio offers a paperless, electronically managed solution that meets all key compliance requirements, is easy to use and offers feedback on key performance areas via meaningful and accurate reports. Signio is linked to all the major financiers. The Vehicle and Asset Finance (VAF) industry had trusted Signio with their certification and electronic signing needs for vehicle finance and Value Added Products (VAPs) applications. Can leading technology really be free? Yes. We provide excellence at no cost to the dealer. No additional costs to you, the dealer, means no additional cost to your client - which can only result in a happy client and more referral business. 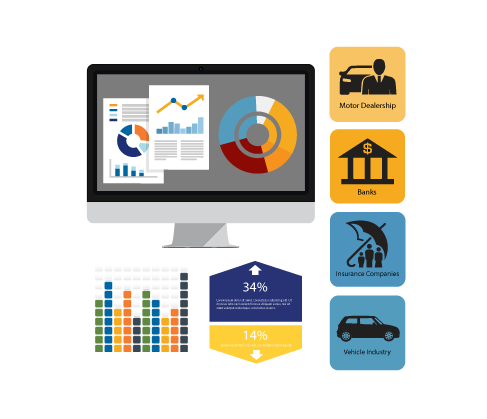 Lightstone is a data and analytics provider specialising in information on the auto and property industries. They have further expanded to assist in providing information on businesses and offers unique customer satisfaction tools.